A good haunch turn is the cornerstone of a winning showmanship pattern, an integral part of halter obstacle, and a fun and useful skill for your Miniature Horse to have. In Lesson One, we’ll introduce the cues and set up the line of communication that we’ll use to build the full haunch turn. Every day for five days, you’ll gain access to a new video, building on the skills of the days before, to allow your horse to learn the new skill faster than you’ll believe! 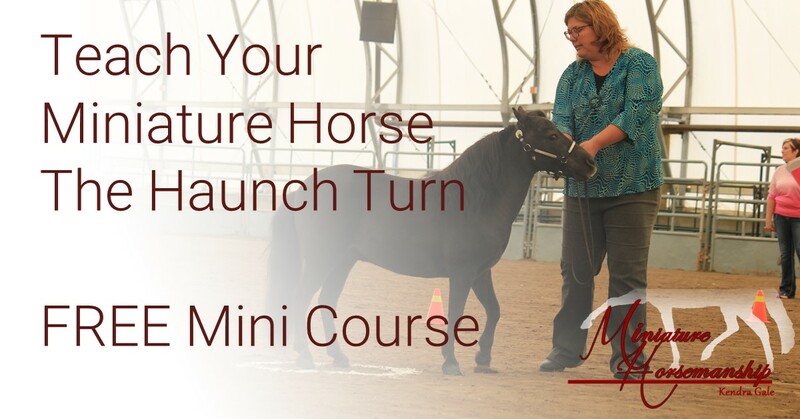 Each lesson includes real life video of multiple horses learning in real time – you’ll see every second that was spent with them on this skill, and see how some very different horse personalities approach it.